My latest Townhall column is called, 5 Reasons Barack Obama Will Be Viewed As One Of The Worst Presidents of All Time. Here’s an excerpt from the column. Compiling a list of reasons why Barack Obama is a terrible president seems like a project for a book rather than a column. However, when we start looking at the catastrophic mistakes he’s made that may reverberate for years to come, it’s clear that he’s been a disaster for America on a scale that few other Presidents can match. Just look at his record. 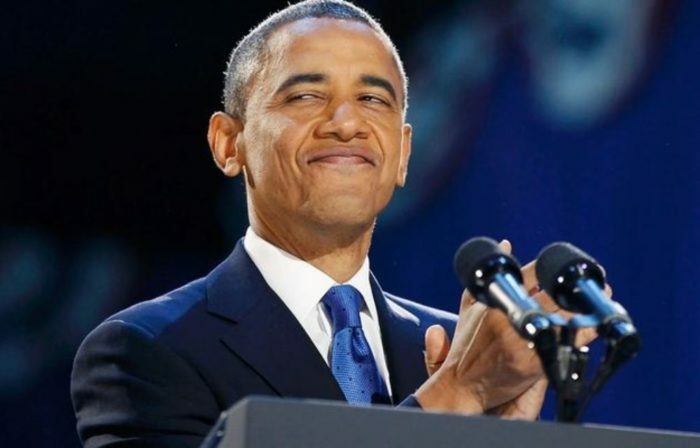 1) Nearly Doubling The National Debt: Let’s see, what was it that Barack Obama said about our debt back in 2008 when he was trying to convince Americans to vote him into office? The problem is, is that the way Bush has done it over the last eight years is to take out a credit card from the Bank of China in the name of our children, driving up our national debt from 5 trillion dollars for the first 42 presidents — number 43 added 4 trillion dollars by his lonesome, so that we now have over 9 trillion dollars of debt that we are going to have to pay back — $30,000 for every man, woman and child. That’s irresponsible. It’s unpatriotic. Meanwhile, once he got into office, Obama added more debt than all previous presidents combined (which even the liberals at Politifact admit is true). Before Obama, it would have taken some real work to stave off a debt-driven economic collapse down the road, but because of the amount of debt he added on, it’s now probably unavoidable. This country survived the Brits burning the White House in the War of 1812, Pearl Harbor, and 9/11, but all of those horrors combined will pale to the long-term damage to this country Obama will cause with his reckless spending. Once again, you can read it all here.